Last week I was at the Association of Research Managers and Administrators (ARMA) annual conference in a sunny and warm Birmingham! ARMA is the professional body for the growing cohort of research support staff employed by HEIs and research organisations across the UK and who provide research development support both pre- and post-award – yes, there are lots of people out there like me! The annual conference is a great forum for discussing the hot topics on the research scene and how they affect our organisations, and for sharing best practice on how we tackle the challenges faced by the research community. The conference runs over two days and involves morning plenaries followed by parallel sessions on a diversity of topics. This year we had sessions on the government White Paper on reform in the HEI sector with the formation of UK Research & Innovation (UKRI) (the seven Research Councils, Innovate UK and HEFCE), the potential uncapping of tuition fees, relaxation around who can become a ‘university’ and, in the hunt for the money, whether we will end up with super-sized universities dominating the sector! the challenges and risks of growing income in the ‘arms race’ to do more research with finite pots of money – this has occupied much of our time at CEH! There was lots of relevance to CEH in this agenda and I'll next be considering how we can take forward some of the good ideas presented. 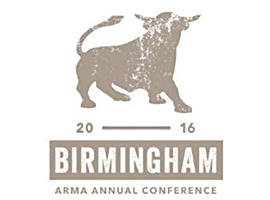 For anyone with an interest in these topics, the ARMA conference is an excellent event.